In German they are called ket, in French, chat, in Arabic, quttah—but with little concern for what name we've assigned them, cats have sauntered into almost every corner of human society and history. In ancient Egypt a cat-faced goddess was worshiped and immortalized in the art of Egyptian tombs. In Scandinavian lore, Freyja, a goddess of the night, rode in a cart drawn by cats. Cats appear in our folktales and in our literature, even in our everyday speech. 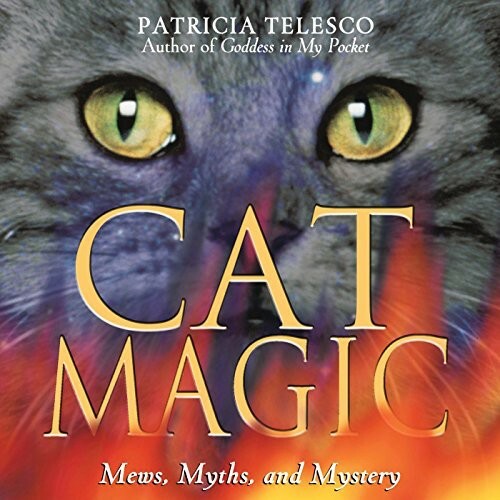 In Cat Magic, Patricia Telesco takes us on a fascinating tour of the different roles cats have played in human experience, with over 150 illustrations documenting the appearance and importance of cats in our mythology, in the spiritual teachings and religious practices of our ancestors, and in totems, spells, and other rituals of magic. Cat Magic tells of cat ginii and of charms of protection. 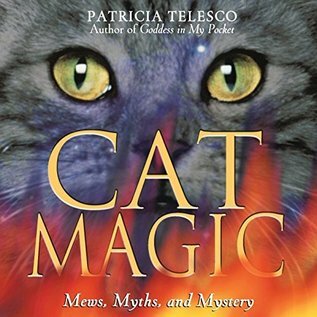 It explains astrology for determining your cat's personality, creating magical blessings, and using crystal and color therapy for the feline in the house. Mysterious and independent, cunning and fierce, gentle and affectionate, cats continue to win our hearts and imaginations, providing a link to our past and present, and to ourselves.